When every second of downtime can cost you thousands, if not millions of dollars, maintaining 100% uptime all the time is a necessity. Network Monitoring System will ping the monitored devices at the defined monitoring intervals, and if any device is down or if the response time or packet loss is huge, FalTel NMS. will notify you immediately by sending an e-mail ,text message, Line Official message. 3G 4G LTE WiFi Router Industrial grade standard. Connecting with RTU or Build-in devices. 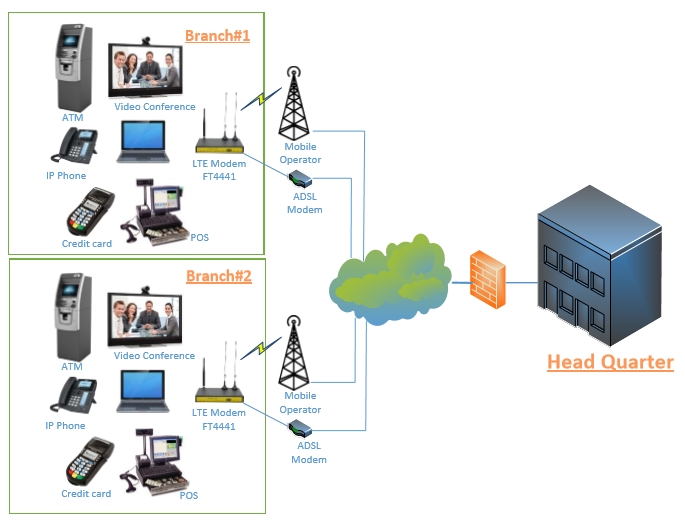 Network Monitoring System and can develop the system according to customer requirements. Inventory · Create device information such as Router Name, Router ID, IP Router, Location Latitude & Longitude, and Description. · Pin location of Location device. · Table list show router information. GPS Feature · Show route from source to destination. · Choose Location to pin location of device to map. Monitoring · Display status of device such as SIM Status, SIM Signaling, Technology Connecting. · Display Traffic Utilization in Graph format. · Available checking status on smart phone. · Display the list of device status list via smart phone. · Show location status of your device through Maps on smart phone. System Management · Manage the device through Web Browser. · Access device from the internal network or Private Link. · Access permissions for both Admin and User Levels. Network link Online Top Up Machine. Backup Link Network for businesses or organizations. Network Monitoring or Networking Security Device. Remote VPN system when there is no network link to the destination. VDO Surveillance or CCTV from destination back to Command Center. Field Operation System Moving stations frequently Need flexibility in high usage. For installation on vehicles such as cars, buses, tour buses, buses, cruise ships for unlimited communications. Highly secure and flexible network connection with 256 AES encrypted VPN. Develop systems to support the use of enterprise Fault Management System, Tracking System. This entry was posted in Customize Software, Products and tagged 4G 3G LTE Dual SIM Router with WiFi. Bookmark the permalink.